Thank you for paying a few minutes of attention to consult this section of our Web site. Your privacy is very important to our company and to protect it better, we give you these notes where you will find some guidelines about the type of information collected online and on the various ways you can intervene in the collection and use of such information on the site. The informative report is rendered only for the site “broadwayitaly.com” owned XXXXXXXXXXXXXXXXXX and not also for other web sites possibly consulted by the user through links. The information is also inspired by Recommendation no. 2/2001 that the European authorities for the protection of personal data gathered in the Group established by art.29 of the European Directive no. 95/46/CE, adopted on 17 May 2001 to identify certain minimum requirements for the collection of personal data online, and, in particular, the mode, the timing and nature of the information that the data controller must provide users with when they connect to web pages, regardless of the purpose of the connection. Following consultation of this site may be processed data on persons identified or identifiable. The owner of the data treatment is XXXXXXXXXXX with headquarters in Via XXXXXXXXXXXXXX P.IVA XXXXXXXXXX. The responsible of the treatment is xxxxxxxxxxxxxxx (cod. fisc. xxxxxxxxxxxxxxxxxxxxxx) domiciled for the task at the headquarters in Via xxxxxxxxxxxxxxxxxxxxxxxxxX. 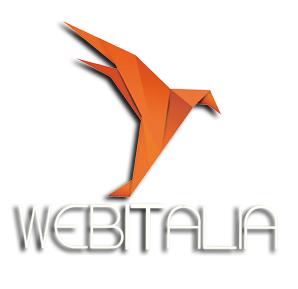 processing connected to the Web services of this website take place at the premises of Broadway Italy and are only handled by technical personnel in charge of processing, or by any responsible for occasional maintenance operations. No data deriving from the web service is communicated or disseminated. The personal data provided by users who request dispatch of informative material (such as newsletters, etc.) are used only to perform the service or provision requested. Navigation data The computer systems and software procedures used to operate this website acquire, during their normal exercise, some personal data whose transmission is implicit in the use of Internet communication protocols. This information is not collected to be associated to identified interested parties, but by their very nature could, through elaborations and associations with data held by third parties, allow to identify the users. This category of data includes IP addresses or domain names of the computers used by the users who connect to the site, the addresses in the URI (Uniform Resource Identifier) of the requested resources, the time of the request, the method used to submit the request to the server, the size of the file obtained in reply, the numerical code indicating the status of the response given by the server (done, error, etc.) and other parameters related to the operating system and the computer environment of the user. These data are used only to obtain anonymous statistical information on the use of the site and to check its correct operation. The data could be used to ascertain responsibility in case of hypothetical computer crimes against the site only at the request of the supervisory bodies responsible. No personal user data is acquired from the site. No use is made of cookies for the transmission of information of a personal nature, nor are persistent cookies of any kind, or systems for tracking users. The use of session cookies (which are not stored in a persistent manner on the user computer and vanish with the closure of the browser) is strictly limited to the transmission of session identifiers (consisting of random numbers generated by the server) necessary to allow the safe and efficient exploration of the site. The session cookies used in this site avoid recourse to other IT techniques potentially prejudicial to the confidentiality of user navigation and do not allow the acquisition of personal data identifying the user. Apart from that specified for navigation data, the user is free to provide personal data contained in the request forms to Broadway Italy or in any case indicated in contacts made to solicit the dispatch of informative material or other communications. Their lack of conferment may obviously imply the impossibility to obtain what required. No person under the age of 18 years, without the prior consent of parents or guardian, may send information to this website, nor can he make purchases or other legal acts on this Site without such consent, unless permitted by the rules in force. The personal data are treated with automated tools for the time strictly necessary to achieve the purposes for which they were collected. Specific safety measures are observed to prevent the loss of data, illicit or incorrect use and unauthorized access.